How can I buy Parallels Access subscription for my Windows PC? I need assistance with purchase of a Parallels Access subscription. Parallels Access can be purchased through your mobile device or from a Parallels account. Find a solution depending on the device you are using. Note: an active subscription cannot be canceled or reimbursed. Partial refunds are not permitted. Parallels is unable to process any requests for direct purchases or refunds for an application purchased through the Apple App Store. 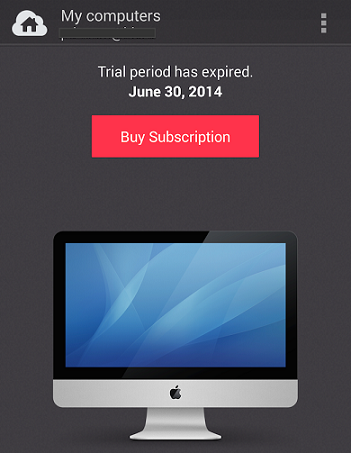 When you start Parallels Access on your Android based device, you will see a Buy Subscription button. 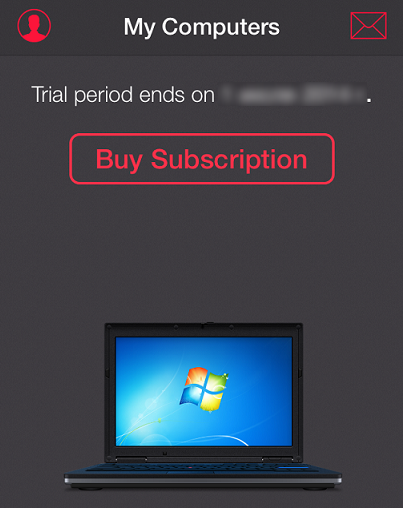 When you click on it, you will see a new window which will allow to either proceed with the purchase process by clicking Buy subscription or interrupt it by clicking Done. 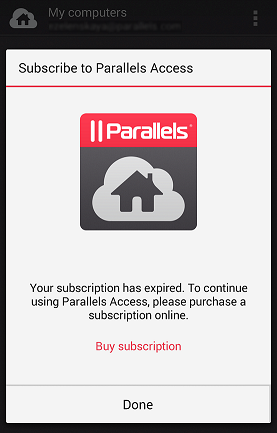 If you click on Buy subscription, you will be redirected to the Parallels Access page of your Parallels account. Then the purchase process is the same as if you purchased the subscription from your computer. Please see the next point for further instructions on the purchase from My Account page. You can purchase a Parallels Access subscription from the Parallels Access page of a Parallels account, using any device, for example PC or a Mac. 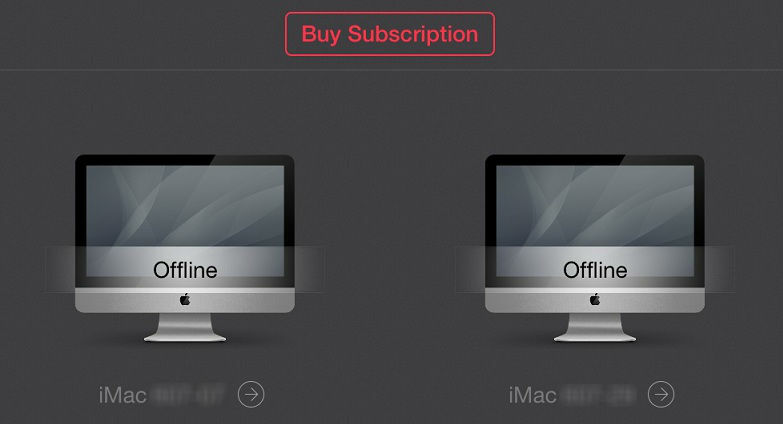 As a subscription is assigned to an account, it is required that you make the purchase from the account you use for Parallels Access. Log in to your Parallels account at https://account.parallels.com/ and go to Parallels Access > My Computers. You will be redirected to the shopping cart, where you should select whether you would like to buy a subscription for 1 or 2 years. Proceed to the next page, fill in your contact information and allow some time for the order to be processed. If you have questions about processing of your Parallels Online Store order, you can contact Cleverbridge, the order processing partner of Parallels.